We met Jan Vermeer earlier. You might also see him called Johannes Vermeer. Both would be correct. 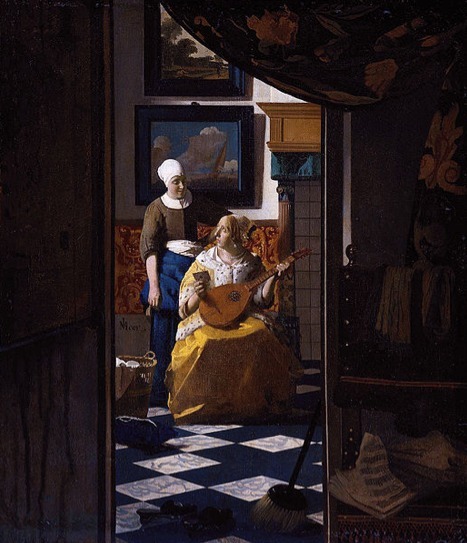 Today Vermeer is considered the best Northern painter of his generation, but for a couple of hundred years he was almost forgotten. Luckily his paintings did not suffer greatly during the dark years, and now he has recovered the glory that was long absent. 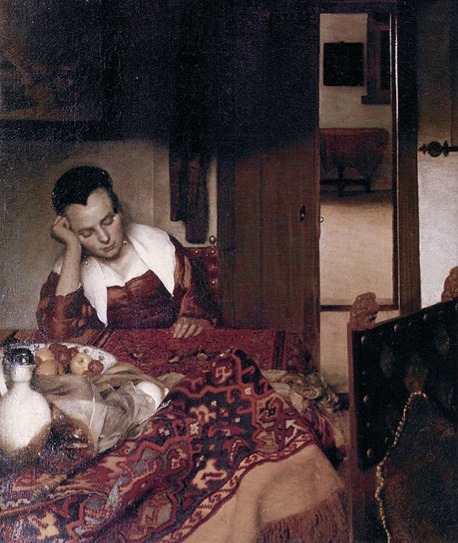 Jan Vermeer had a genius for painting people with a certain luminescence. In almost all of his paintings the light streams in from the left and seems to create a glow over some feature or person. While his compositions were certainly staged they have the feel of a moment in time. 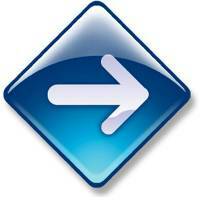 It is as though you stumbled into the room and caught the scene as it unfolded. In come cases he even uses the vantage point of a view through a doorway or past some other obstruction. You will not find this in other artists of his day and speaks to his originality even while portraying mundane events. There are several features in this scene that we will see again. The walls are bare and plain except for a painting. The floors are tiled. The room seems sparsely furnished. The window is partially open and reveals richly decorated leaded glass. I put these two paintings next to each other to show how Jan Vermeer used one room in his house as a regular setting for his compositions. Not all his paintings are in the same room, but if you look at all of his paintings you will recognize the repetition of a handful of floor patterns. Here again we see the same window, but now we can make out the details of the design. This sleeping girl reminds me of myself. Unfortunately the painting has been damaged. This is one of the few indoor paintings where there is no tile apparent. The walls are plain and it seems very monotone except for the vibrant textiles. The Netherlands was a center for the textile industry and many houses used textiles heavily in their decoration. The door is a simple plank door, rather plain in comparison to the furniture. 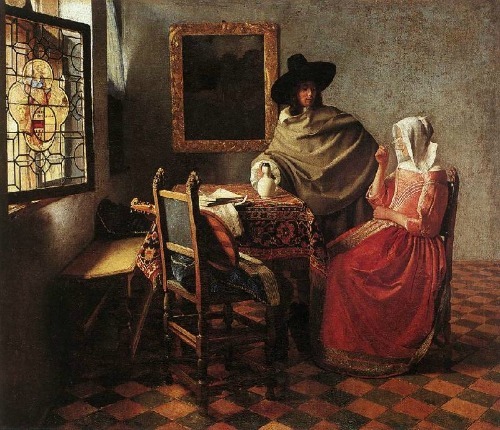 This painting will provide an interesting contrast to our next featured artist, Pieter de Hooch. The setting is similar although the subject is different. 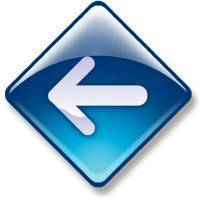 There is an interesting pattern of blue crosses formed by the tile. Similar tile patterns are found in other paintings. Behind the rather surprised lady is a carved wood pillar supporting what looks like a wood mantle, but with a skirting of blue hanging down from the mantle. It is difficult to tell what this is. It might be a doorway, but the opening seems short. It could be a fireplace, but the floor tile seems to go too far back. My guess is that it is a fireplace with a mantle that comes out fairly far from the wall. Behind the two woman there appears to be a lower panel of wallpaper or textile below a wood molding. This is the only time I have seen this in these Dutch paintings. The molding comes up fairly high, but the height was usually in proportion to the height of the wall, so apparently the unseen ceiling is quite high. 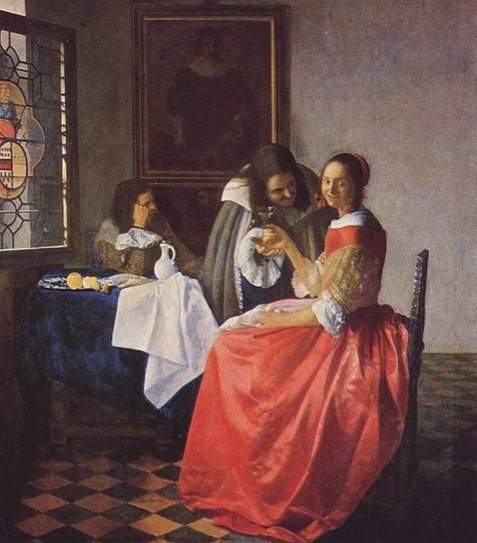 Check out my next page on Pieter de Hooch to see what I say about the companion painting.